Just a walking Topshop advert really! Not entirely intentional - but I do love a good sweatshirt and statement necklace combo! 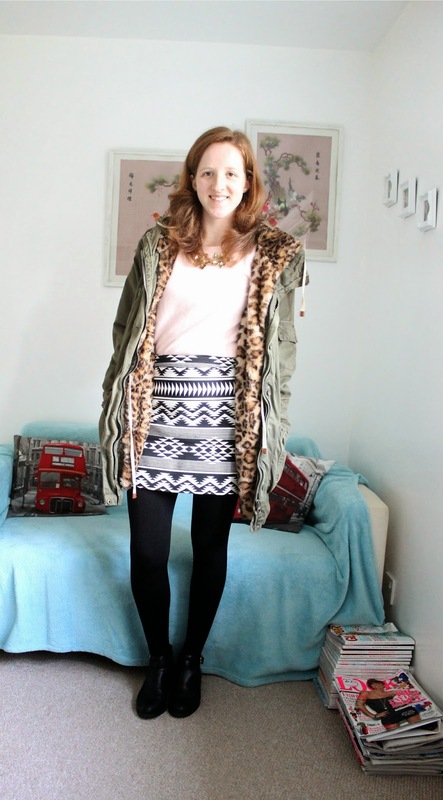 Right now it's all about the Primark Super Cost tights, I can't live without them during the winter. They're perfect for wearing with skirts and boots without freezing your arse off. I adore wearing pastels in the winter and clashing them with dark monochrome or berry shades (mint and maroon are my favourite pairing at the moment!) 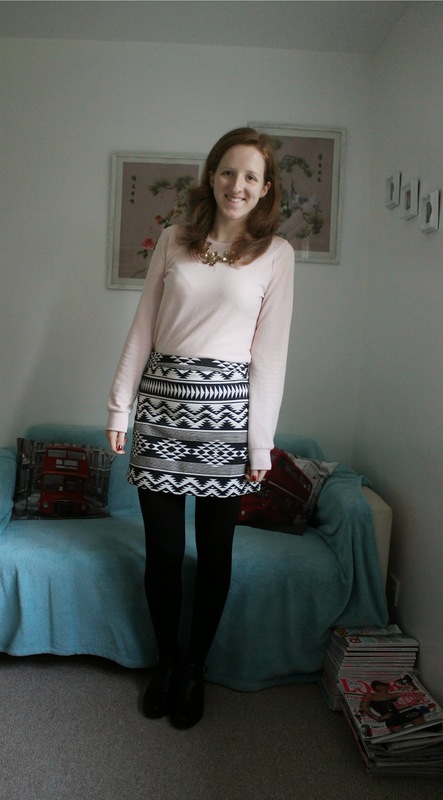 I also like how the leopard print mixes with the aztec from my skirt - life is never boring in my wardrobe. I am also so happy to be bringing out my beloved parker again.... it makes me feel so snuggly and all wintery!